Every Canadian needs to see this musical. No, everybody in the world needs to see this muscial. It is the incredible true story of the events which unfold in Gander, Newfoundland, on the morning of September 11, 2001. When the United States closed their airspace that day, 38 international flights with a combined 7000 passengers were diverted to Gander - which only had a population of 10,000 people. The story begins in the Gander Tim Hortons where the mayor (who comes in every morning as that's how he can keep in touch with the community) in dealing with a local school bus strike. When the news of the attacks on New York and Washington is heard, and the subsequent news that planes are being diverted to Gander, the town is thrown into upheaval in an attempt to accommodate the passengers. The musical only has a cast of (approximately) 12, and they all play multiple roles with very slight costume changes (a hat or a jacket) and changes of accent. This is a remarkable display of acting ability because you don't see the actor - you see the character. Every. Single. Time. 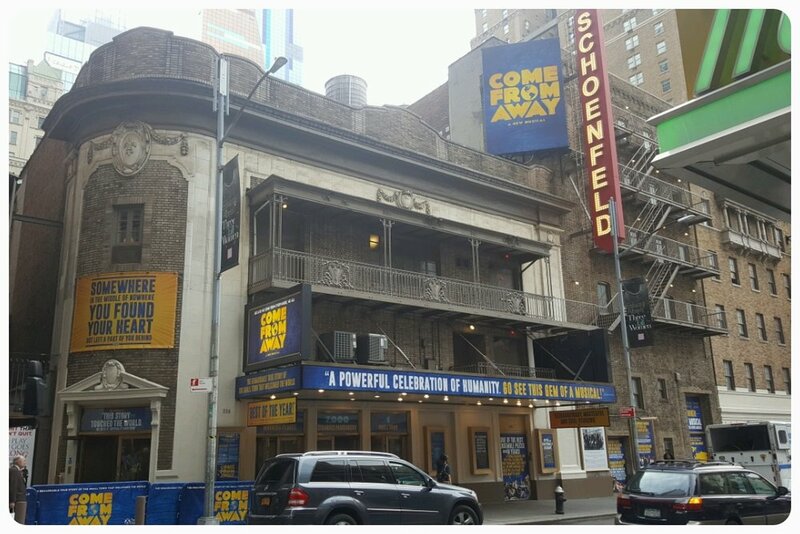 Come From Away has incredible music, with a brilliant blending of Newfoundland folk music and modern show music that carries an emotional punch that will bring tears to the eye. The true genius of the musical are the stories - of both the townspeople as well as of the passengers, and what happens when their lives are suddenly thrown together as a national crisis unfolds. Come From Away doesn't leave you with just the feeling of pride of being Canadian, it makes you proud to be human. It is truly a exploration of the triumph of the human spirit. And the best news is that it is currently playing in Toronto. Do not miss it.